Daily Resort Charge will be added to the room rate and includes WiFi access *unlimited devices / 2 welcome drinks / 2 Venti Starbucks Coffee daily / 2 daily Zephyrhills 16.9oz water / 2 beach chairs daily / kids activities / 20PCT spa discount / 10PCT gift shop discount / local and toll-free calls Daily Resort Charge will be added to the room rate and includes Internet access. 2 daily adult bike rentals for 2 hours. morning beach yoga classes. 2 bottled waters daily. 2 beach chairs. 20 off spa. 10 off gift shop. free kids /12 and under/ dinner with adult entree. local/toll-free calls. 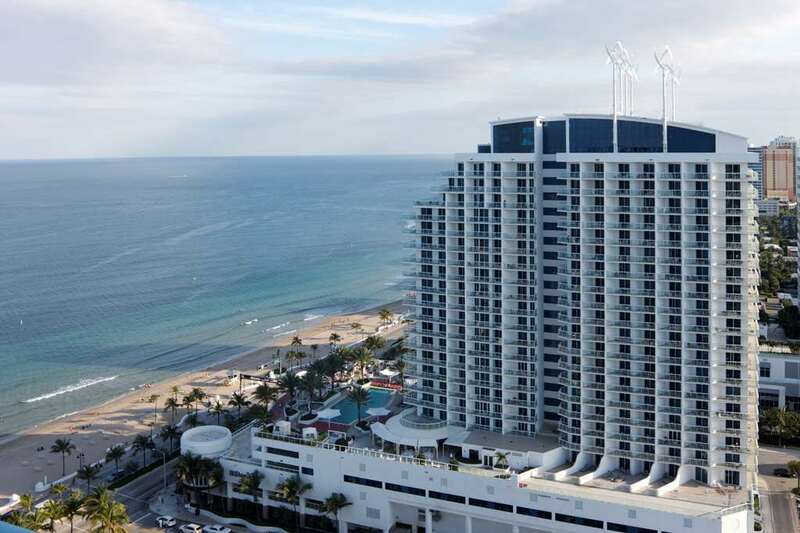 Situated on Fort Lauderdale Beach Hilton Fort Lauderdale Beach Resort is a waterfront property boasting panoramic views of the Atlantic Ocean and Intracoastal Waterways. This tropical oasis resort features a variety of rooms and suites from studios to three-bedrooms. Enjoy three diverse restaurant concepts a spa with multiple indoor and private outdoor treatment rooms a 24-hour Precor fitness center and 20 000 sq. ft. of combined indoor-outdoor function space including the BalQony deck and recreation area with cabanas and a pool. ilios: Local seasonal cuisine is a favorite when you dine at our signature restaurant and bar. This stylish eatery serves inspired dishes for breakfast lunch - dinner using the freshest ingredients. The private dining room can host up to 20 Guests for special occasions.